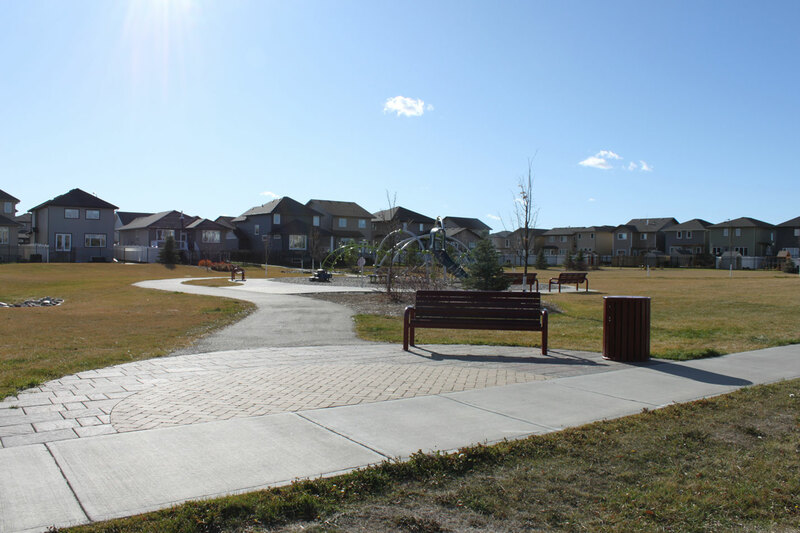 The Edgewater neighborhood is a small and fairly new residential development on the far West edge of the City of Regina. It borders agricultural land to the West and North, the Westhill neighborhood to the East and the Joanne Goulet 18 hole municipal golf course to the South. There is no commercial development in the Edgewater Neighbourhood, but a 7 minute car ride will have you on McCarthy Boulevard in no time, where you’ll find plenty of handy retail stores and tasty restaurants to enjoy. 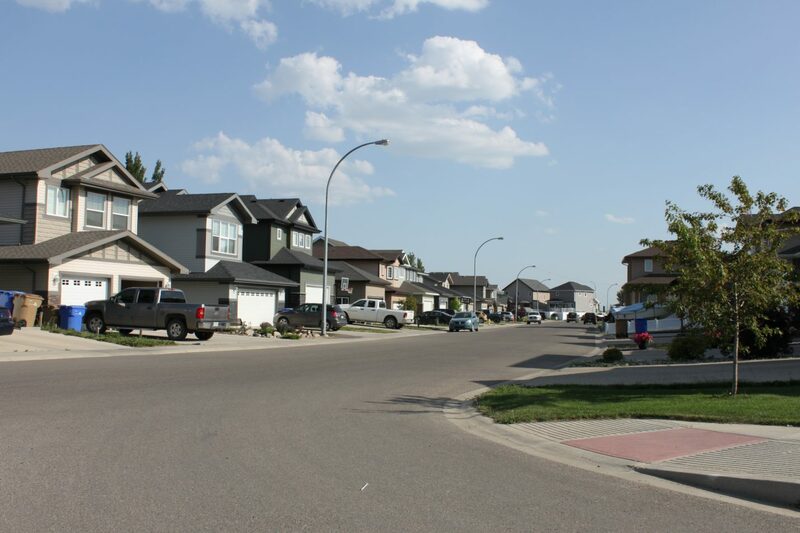 The Edgewater neighborhood was approved by Regina City council for development in 2007. Most homes were built here since 2010 and the area is still actively under construction in the South end although quite close to complete. The Edgewater neighbourhood is a throwback to neo-traditional residential design offering a mixture of housing styles to choose. 2-storey homes seem most predominant here, taking advantage of larger square footage homes with a smaller building footprint. 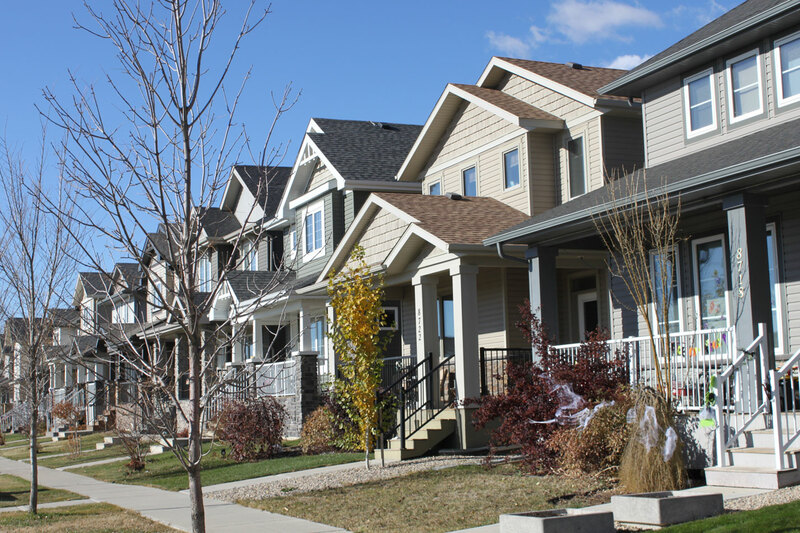 There is a good mix of single family homes and some walk-outs as well as duplex and townhouse styles for residents to choose from. 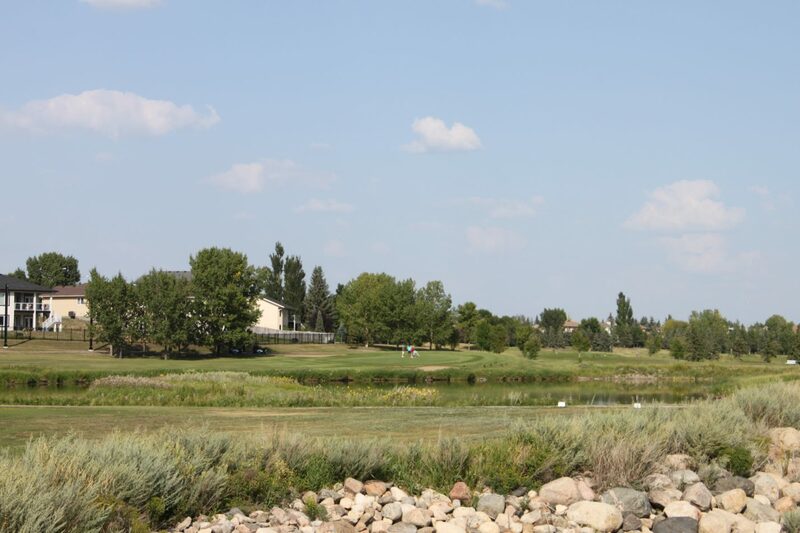 Wascana Creek meanders past the South side of this neighborhood and there is 1 centrally located park with a play structure and walking paths. Come for the Neighbours – stay for the Golf! Some of the homes on the south end of the Edgewater neighbourhood back directly onto the 5th hole of the Goulet Golf Course and the clubhouse is literally just steps away. Game on!